Last week, the news broke that DC Comics has applied for a trademark for a brand new logo. 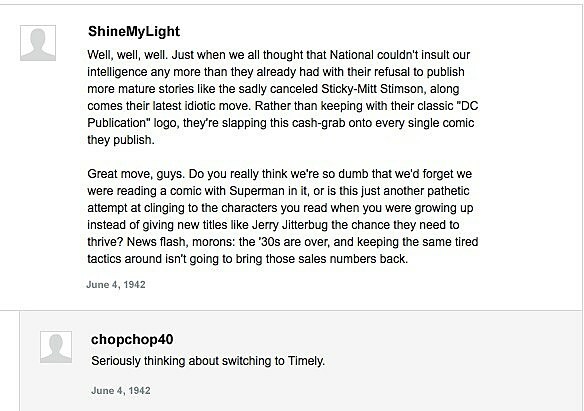 Presumably, they're planning on replacing the current DC Spin, which has been spotted on comic book covers, movies and TV shows since 2005. As is usually the case with any big change from a comic book company, the reaction from the Internet has been vocal and vehement with both its loves and hates. But then again, this isn't exactly a revolutionary new development. 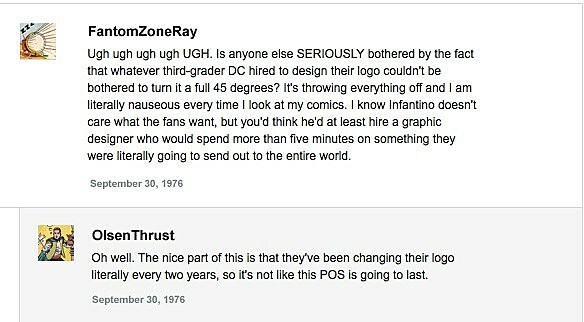 DC has changed its logo several times over the course of its history, and every time it's been met with some pretty extreme reactions. 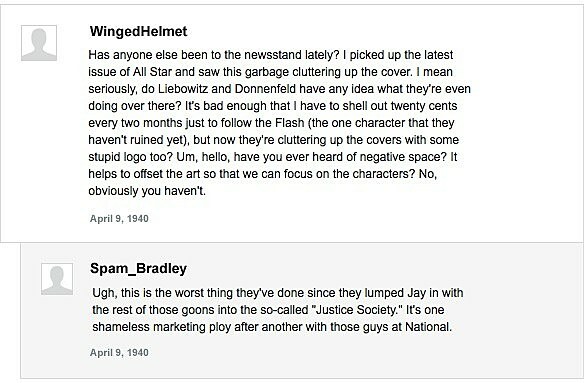 To help put this in context, we went digging through 70 years worth of ComicsAlliance comments -- all the way back to the dawn of the Internet in 1940 -- to see how people reacted to DC's new logos in the past! 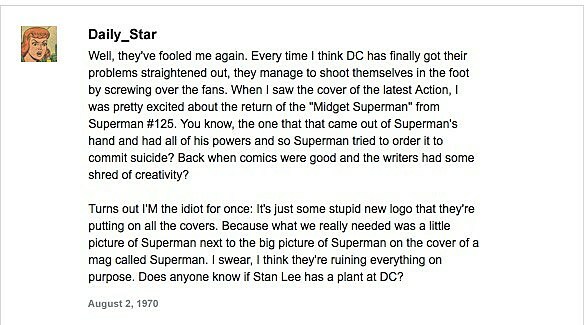 And that brings us to today and what might just be the brand new DC logo. Personally, I don't particularly care for it -- it took me a full day of staring at it to realize that it was supposed to be a page being turned and not a sticker being peeled back -- but if history has taught us anything, it's that DC will eventually change it to something else. Worst case scenario, we'll be stuck with it for 29 years. If I can make one suggestion though? Go-Go Checks. Seriously. Add your comments to the historical record below!